Self-procalimed ´Madam Boss´ is now saved, set to venture into the music industry as well as move to Europe indefinitely. This weekend, the Kenyan singer has a concert right at Uhuru Gardens to bid her fans goodbye. Up and close with Mpasho, the mother of 5 stated: We´re having a concert on the 14th and I have all the support from all the celebrities. The reason as to why I´m having this concert during the day is because I am moving to Europe because my family is there. Oyoo and Ojwang [her sons] need me. Additionally, she has been and continues to be a philanthropist: Its all charity relief fund for areas affected by drought in Northern parts of Kenya. And we are trying to look for a long term solution, whereby we are trying to build boreholes, put up medical and rescue centers. So that our people are able to see some hope. According to her, the concert is set to: The event is also to put smiles to the faces of hunger-stricken Kenyans. So I wanna perform for you for the last time here because I know I have fans who can´t come to the club. Some of the artistes in attendance come the 14th are: Nameless, Khaligraph Jones, Victoria Kimani, Musa Jakadala, DJ Sadiq, DJ Joe Mfalme, DJ Mo, Dr Ofweneke, King´ori, Bahati and Willy Paul. Her final word: My legacy is to create a positive impact on my society. I thank God for the position I am in because I have done a lot which even the country doesn´t know. That´s why I always pat myself on the back when I wake up. 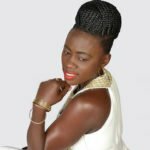 The post Philanthropist Akothee to host Kenya´s music industry bigwigs during her farewell concert this weekend, before flying out indefinitely appeared first on Ghafla! Kenya.